I’ll spare you the bad puns about students taking off, flying high and the sky being the limit. 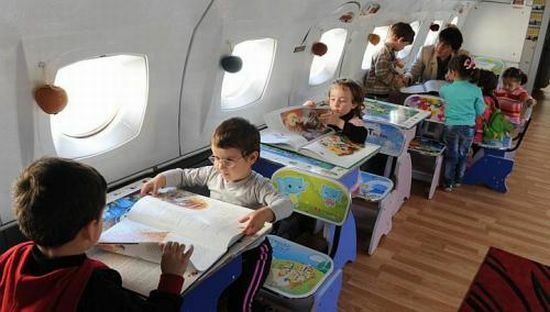 Instead, simply be amazed by this kindergarten classroom. Gari Chapidze, a teacher in the City of Rustavi, Georgia, was seeking ways to make kindergarten an experience to look forward to, given that for many kids the first day of pre-school can be a little scary and overwhelming. He decided the classroom needed a makeover but this wasn’t a case of new paint and installation of a book nook. 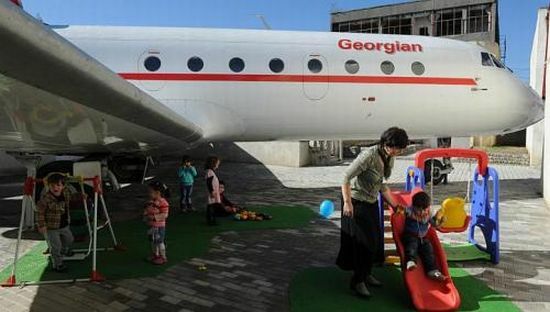 Instead, a retired Yakovlev 42 plane from Georgian Airways was transformed into a thrilling kindergarten classroom. 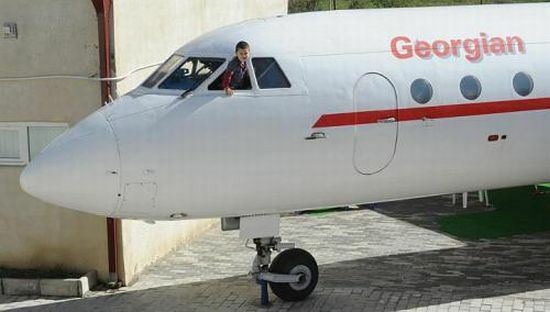 While many of the plane’s original fixtures were removed to make way for small desks and chairs, educational equipment, games and toys, others were deliberately left as they were found including cabin crew telephones and the cockpit. 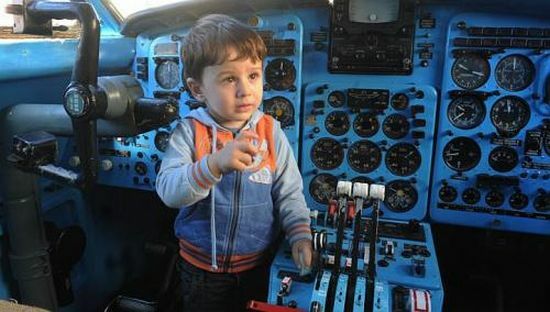 There are more than one thousand five hundred buttons and levers to play with – certainly enough for everyone to have a turn landing the plane! See more amazing kindergartens here.